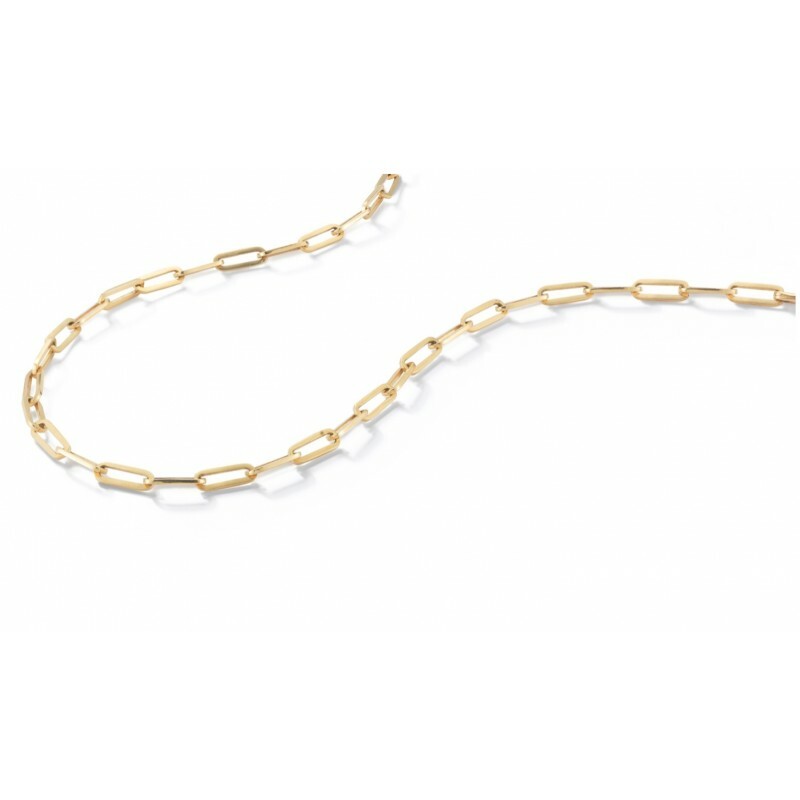 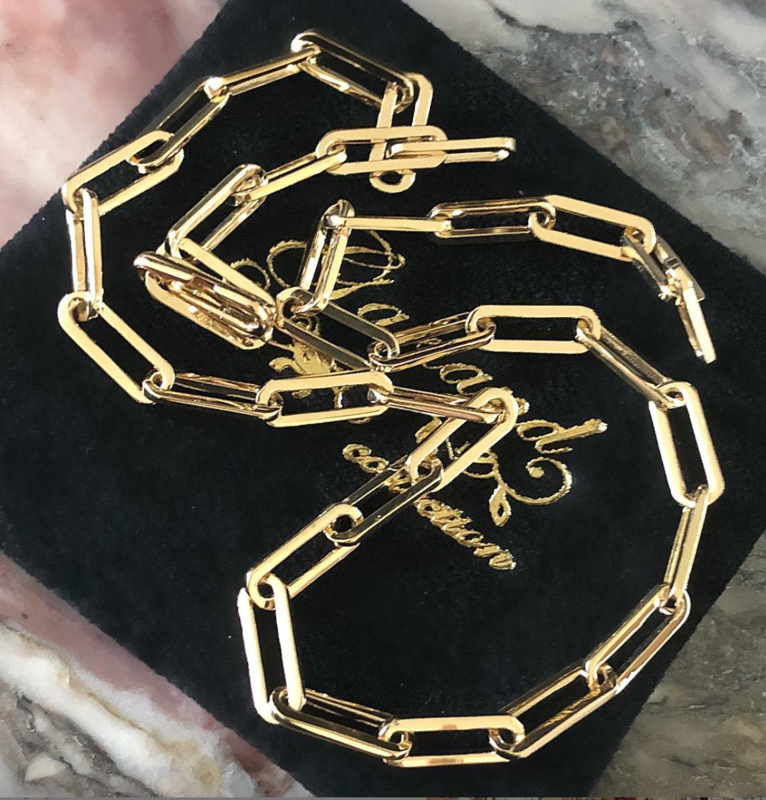 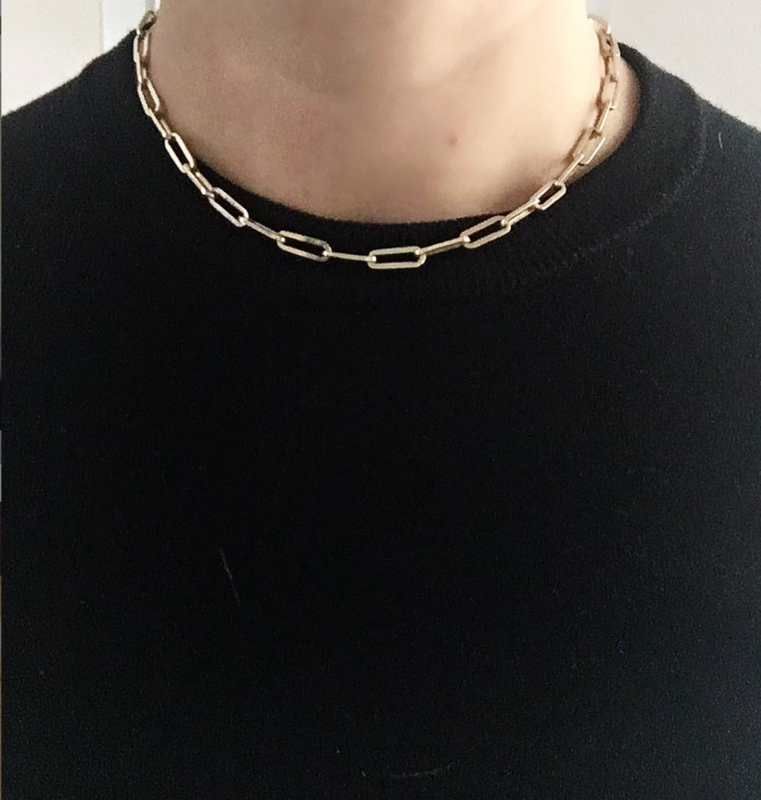 Using the same solid gold and handmade elongated links as our charm bracelets, the necklace closes seamlessly with an invisible clasp. 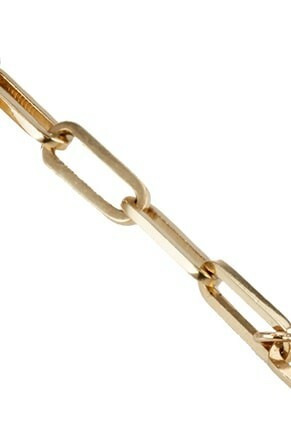 (White gold and rose gold uses our handmade rotating lobster clasps). 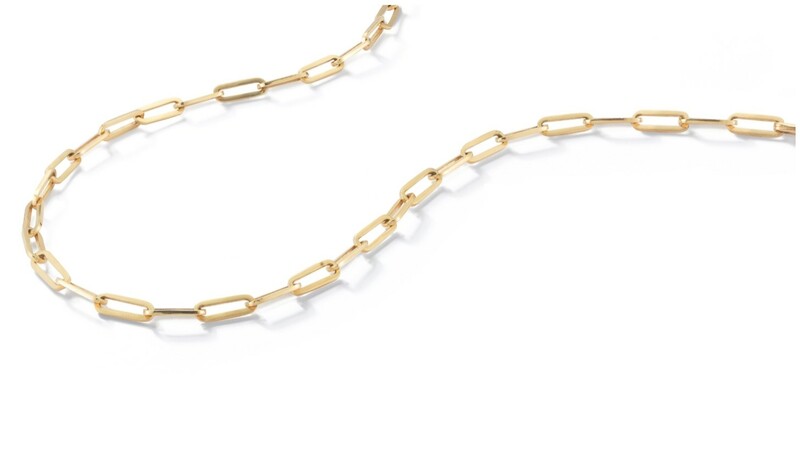 Add a single bold statement charm at center, pile on ten or let the chain stand sleekly alone.